Franco is headed to FUTURE WORLD, but with no Peter Fonda! Hello all, Mad Dashiell here and thanks for joining me. So we had about only five minutes of James Franco in ALIEN: COVENANT. If any of you Franco fans were left hungry for some more Sci-Fi Franco, then the wait is over. James Franco has a wild Sci-Fi action flick called FUTURE WORLD on the horizon. 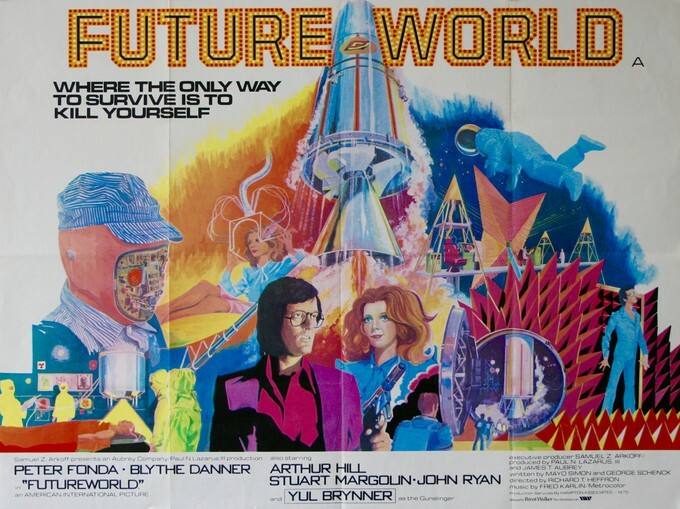 It centers around a young boy searching around a futuristic wasteland to find a rumored cure for his dying mother, oh yeah and there's an android femme-fatale that is one of the last surviving synthetics of a new dark age.